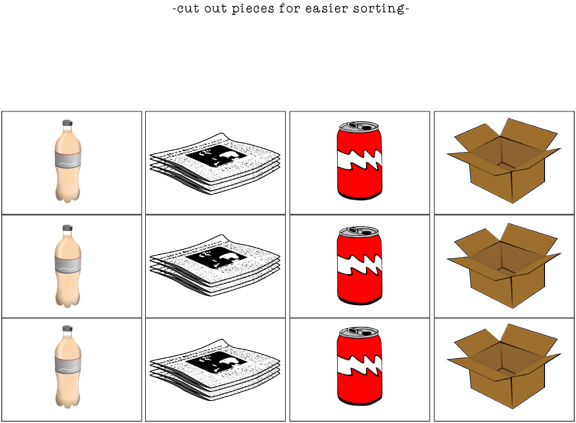 Celebrate Earth Day and teach your kids about recycling with this free printable sorting activity! Instead of categorizing the recyclables by material, ie. plastic, glass, metal, etc, I felt it would be simpler for a young child to understand recycling in terms of everyday objects that they are already familiar with: bottles, paper, cans & boxes. They will begin to see these items as things that can be recycled. This activity comes with 2 levels of difficulty. 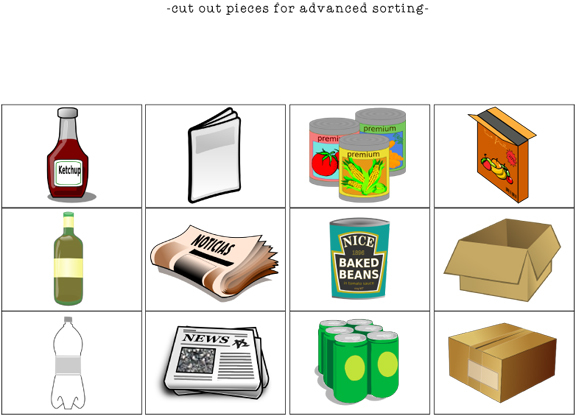 For toddlers and very young children, the items to be sorted are all the same as the sample picture, and the child sorts by matching. For preschoolers or older kids, the items in each category are different and the child has to first determine what each item is and then what category it belongs in. I recommend that you laminate and use Velcro for this activity. However, this can also be done using 4 baskets or containers and the child sorts the pictures into the correct container. 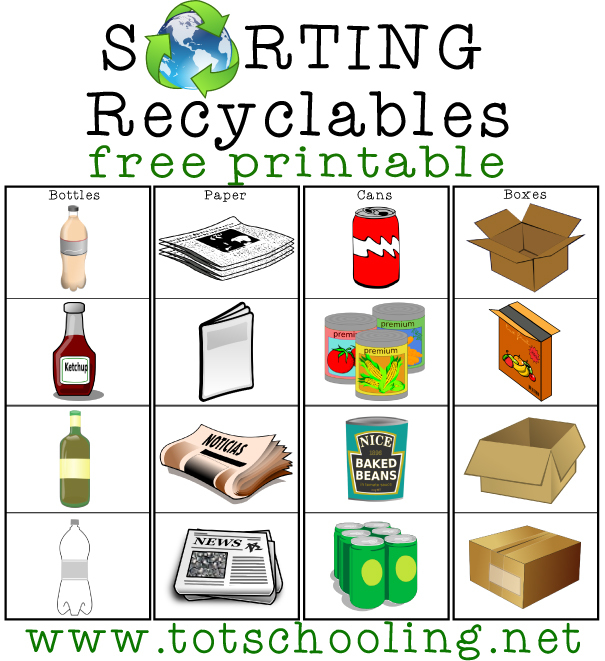 Click Here to Download your Free Printable Recycling Sorting Activity! Wonderful! We will be learning about taking care of our earth after Easter. Good, I hope this comes in handy! Great! I like to talk about recycling in my kids yoga classes near Earth Day and have the kids share how to help our planet. What a great idea! My kids have a pretty good handle on what items go in our recycling bin, but this is a wonderful resource! Great to see you linking up at The Thoughtful Spot!